Approximately 50 tourism service providers from Punta Mita will participate in this activity before and after the most popular vacation days; on another note, the American School joins Bucerías. 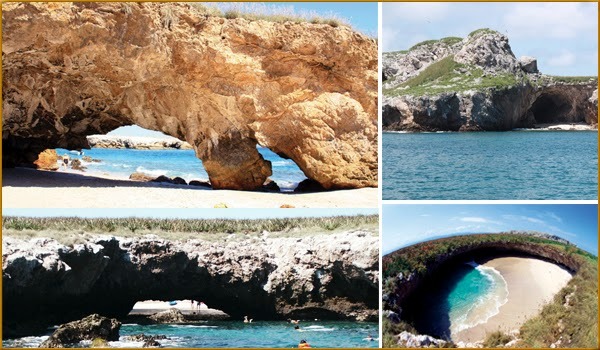 The twelfth edition of the Beach Cleanup Network organized by the Riviera Nayarit Convention and Visitors Bureau (CVB) in collaboration with civil associations and private businesses now includes the destination’s iconic Islas Marietas National Park. The Coral del Risco Tourism Services Coop, Punta Mita Adventures and Four Seasons Resort Punta Mita are sending a group of about 50 people aboard several boats to perform the cleanup of the Islas Marietas. The date set for this upcoming environmental awareness event will be May 9th; however, the cleanup of the Islas Marietas will take place on Monday, May 11th starting at 3 p.m., once the weekend activities are over. All the nooks and crannies on the surface of Playa Nopalera on Isla Larga and the famous Playa del Amor on Isla Redonda will be cleaned up. The idea is to clean the National Park before and after the most popular vacation days. A cleanup event took place before Holy Week and the volunteers found lots of plastic, ripped fishing nets and other small articles typically left behind by visitors. Eventually there will be a complementary scuba cleanup to care for the coral. In other news, the American School of Puerto Vallarta joined the Bucerías cleanup crew with 50 students and 10 teachers; their participation will count as part of the students’ extracurricular environmental activities. This group will work next Monday, May 18th. There are now a total of over 600 people involved in cleaning the beaches of the Riviera Nayarit in 15 communities within Banderas Bay, Compostela and San Blas.